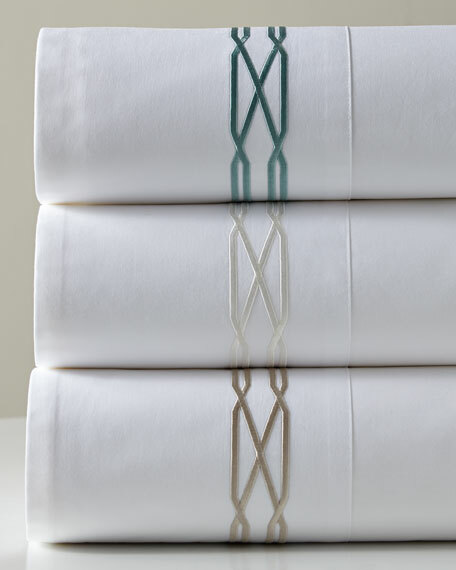 300-thread-count white cotton percale flat sheet and pillowcases have 7" embroidered cuffs. Percale has a tight, uniform weave that results in a smooth, crisp feel and matte look. Set includes flat and fitted sheets and two standard pillowcases.